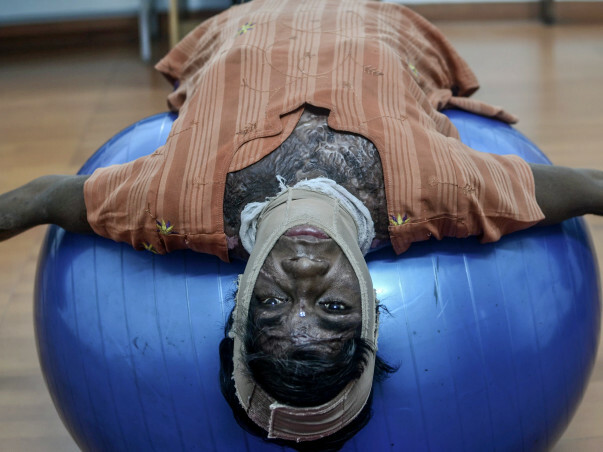 Of the 1.4 lakh deaths caused by burn injuries in India every year, 90,000 are women. In Chennai, at the Kilpauk Medical College’s burns ward alone, close to 3,000 patients were admitted in 2016. 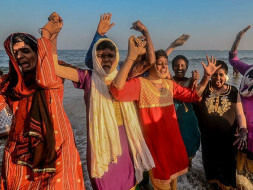 Ninety per cent of the burn survivors have resorted to self-immolation as a result of domestic violence, though most suicidal or homicidal burns in women are reported as kitchen accidents resulting from gas burst, leakage or defective burners. Burn injuries can impair skin integrity, cause hypertrophic scarring and make one susceptible to sepsis and other neurobiological changes that can also affect functionally important body parts. The subsequent rehabilitation efforts including dressing, medication, physiotherapy, surgical debridement (removal of damaged tissue) and the wound healing processes are excruciating. As the physical wounds begin to heal, the psychological ones become more pronounced. 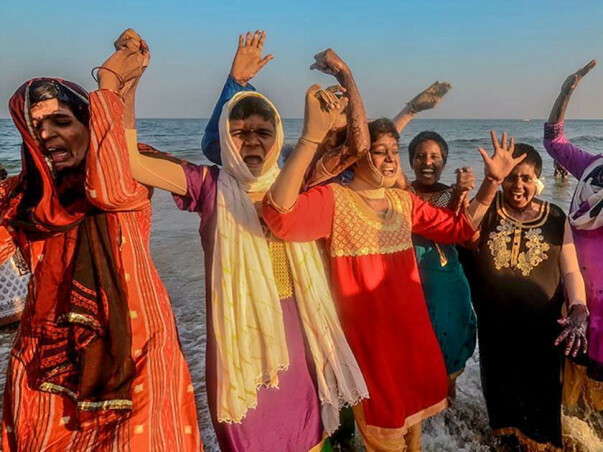 International Foundation for Crime Prevention and Victim Care’s Recovery & Healing Centre in Chennai has helped over 2,000 female burn survivors, facilitating rehabilitation and reintegration by extending psychosocial support services that help them cope with the multitude of challenges, whether medical, psychosocial or economic. I'm raising funds to support the cost around the physical rehabilitation costs, specifically for Pressure garments needed for survivors. 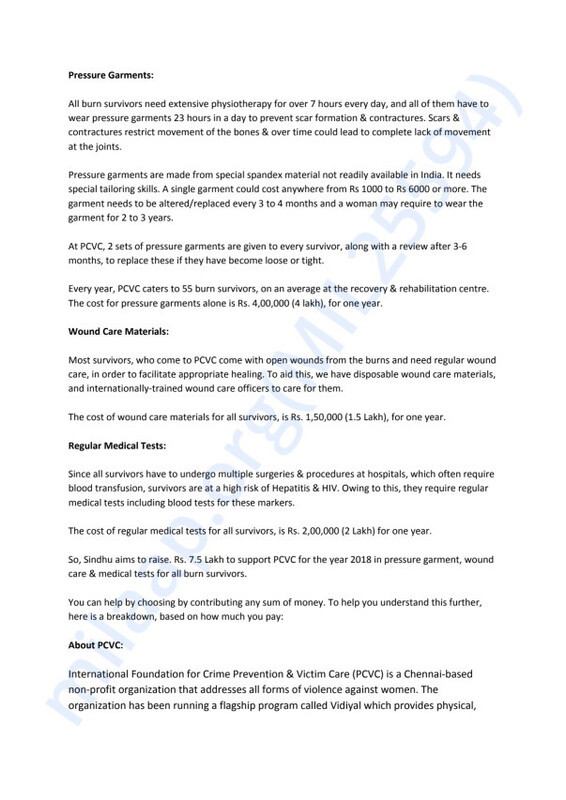 PCVC's recovery & rehabilitation centre for women burn survivors in Chennai, caters to 55 women on an average every year. Apart from this, they also work with burn survivors of the women’s ward in KMC Hospital & offer home visit services for all these women. The funding for this project has largely been with the help of individual donors. So, your donation will take PCVC a long way in helping burn survivors in the year 2018.